Renowned chef Jeremiah Tower, subject of the documentary "Jeremiah Tower: The Last Magnificent." 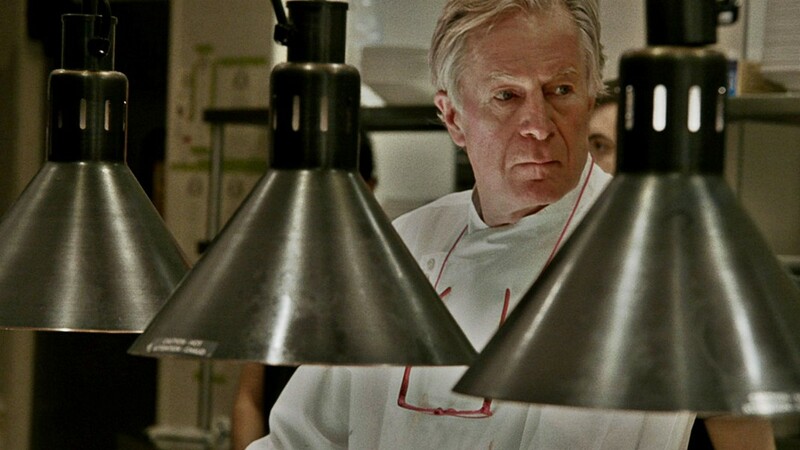 "Jeremiah Tower: The Last Magnificent"
Food-loving cinephiles get a glimpse into the life of an enigmatic, celebrity chef in the documentary "Jeremiah Tower: The Last Magnificent." Arguably the most influential chef you've probably never heard of, director Lydia Tenaglia shows how Tower's career shaped American cuisine as we know it today, even as the man himself remained something of a mystery. Tenaglia traces Tower's life, beginning with a privileged childhood with rich but neglectful parents who dragged him along on their globe-trotting excursions, yet mostly left him to fend for himself. During this time, food filled the void; as he puts it, food was really his only friend. That deep sense of loneliness clearly never left him and in combination with a sexuality he was compelled to keep hidden away, helped shape him into the reclusive, deeply solitary man he eventually became. Turning to the culinary arts as a career, Tower made a name for himself working alongside Alice Waters in her Berkeley restaurant Chez Panisse during the early 1970's, before they contentiously parted ways and he started his own establishment, Stars, in San Francisco. He eventually left his restaurant in 1999 and disappeared, retreating into relative obscurity until inauspiciously reemerging in 2014 as executive chef of New York City's Tavern on the Green. Commentary is added by tons of interviews with such luminaries as Martha Stewart, Mario Batali, Wolfgang Puck, and Anthony Bourdain (who also acts as the film's executive producer). Those interviews allow the film to speculate about the chef's inner drives, though Tower remains tight-lipped about anything outside of strictly biographical details. They're paired with whimsical sections of current-day Tower strolling through architectural ruins and reading passages from his diary in voiceover. He emerges as a captivating figure: an obsessive perfectionist, and as such, prone to arrogance and brilliance in equal measure. The subject is interesting enough, but the most compelling material is found in Tower's efforts to rejuvenate the critically reviled Tavern on the Green and turn it into a beacon of culinary innovation. Strangely, Tenaglia saves that until the very end of the film, creating the feeling that this meal is coming to an end just as the main course is being served.